May 14, 2016, 805 Artist Collective presents “These arent’ the Boards you are looking” Skateboard Art Show at legendary Skatelab Museum, which is located at 4226 Valley Fair St, Simi Valley, CA 93063. This show will feature Star Wars themed art work on skate decks, canvas, shoes and many other art forms. This dope event will take place 7:00pm-10:00pm, Free Event and for All Ages. The World Famous The Seventh Letter hosted Willie T’s Pop Up Art Show “Primitive Glamour” on November 7, 2015. Pinchi Michi Art & Dulce Steins presented the “Mask” An Unveiling of Identities – Art Show & Masquerade Ball” on Saturday, July 11, 2015 at legendary KGB Studio which is located at 1640 North Spring Street, Los Angeles, California 90012. Sesame Street Art Show @ Known Gallery along with the City of Hope Foundation. April 28, 2012. 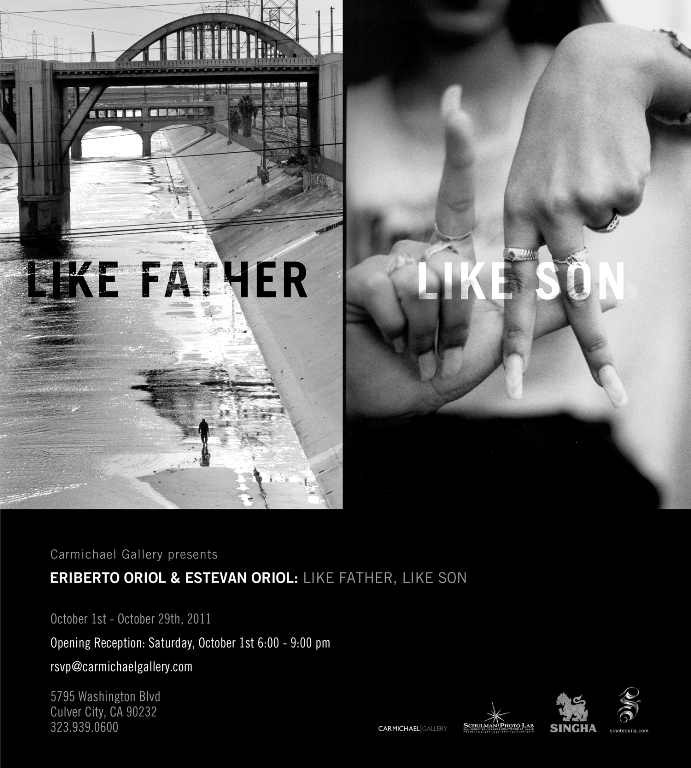 The exhibit of Eriberto Oriol and Estevan Oriol was an exquisite event in which they both display an iconic series of photographs displaying the culture of Los Angeles urban societies and sub cultures. 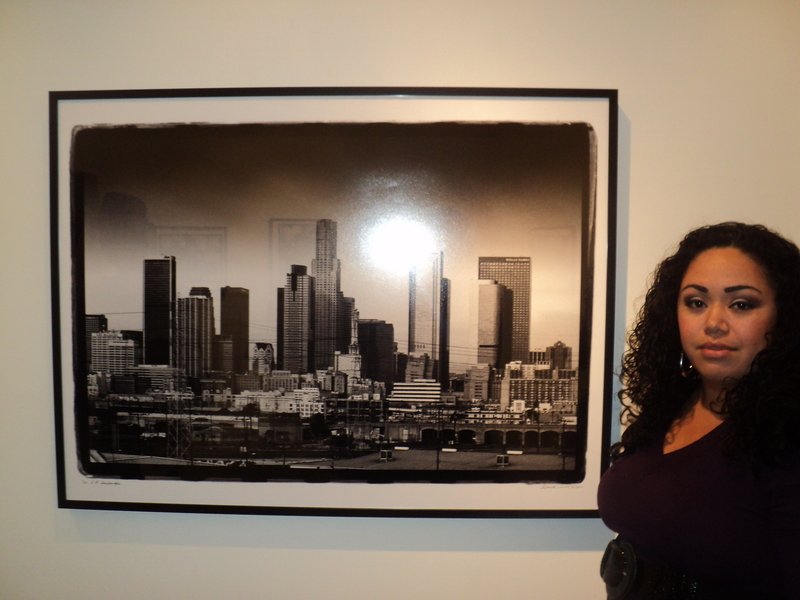 The series displayed such iconic images of the” Cholo” movement from different areas of the Los Angeles areas, majority on the works were printed in black and white with no text on images only the titles. As one walks towards the gallery venue, one is welcome by a block street filled with parked low rider cars such as the classic Chevy Impala and Sport Monte Carlo in their most explicit claim of Chicano Pride. All air brush work done by one of the world famous tattoo artist Mister Cartoon associate of Soul Assassins Empire along with Esteban Oriol. They both built a high prolific clothing brand named Joker Clothing, which is most popular in the Chicano and other Hispanic cultures. The opening reception was a very private space filled with media and important art collectors and gallery owners a great place for anybody in the art field to network and crate other amazing projects; which made me realize how important it is for me to crate a web site as well as business cards to pass out while networking. The lighting of the works was clean and bright; for certain specific themes and subject matters they were placed in intimate separate rooms which allowed the flow of the public to not be crowded. For one to fully understand the show one must understand the stories of both Eriberto and Esteban Oriol. Both photographers have made a name for themselves, not only have they become an image and icon for their community but also role model in the business and art world that can be hard to achieve for many up coming artists and free lance photographers. One of the most inspiring aspects of this entire exhibit is the diversity of our society as a whole. But these amazing duo of talented and humble father and son are creating history and setting a standard of fine art and evolution of social movement.